Fund for Assistance to the ROCOR - GivingTuesday is December 1! Last year, more than 27,000 organizations in 68 countries came together to celebrate #GivingTuesday. Since its founding in 2012, #GivingTuesday has inspired giving around the world, resulting in greater donations, volunteer hours, and activities that bring about real change in communities. We invite you to join the movement and to help get out and give this December 1.
with our matching appeal. We hope with your support we can make Giving Tuesday a day when we give back to the Church who already gives so much to us. 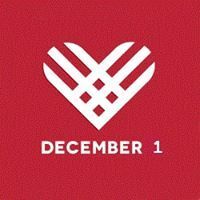 Let's make Giving Tuesday, 2015 another success! ​For your convenience we are attaching a save the date picture at your disposal you can share on social media.